Where will it be located? How far along is the process? Answers to all that and more. The Lin-Wood Skate Park Committee is an extension of the Lincoln-Woodstock Friends of Recreation non-profit organization. The committee is raising all of the funds to build the physical skate park; consisting of concrete, steel, etc. Once completed, the park will fall into the town’s routine maintenance plan of trash removal, mowing, etc. The skate park will not require any additional insurance or increase the town’s insurance premiums. It will be regarded as a town recreational facility just as the Kancamagus Recreation Center and other recreation venues are. Many locations were considered, but after extensive consultation with the Board of Selectmen, Planning Board, Lincoln Police, Recreation Department, and local citizens, a memorandum of understanding was signed in September. 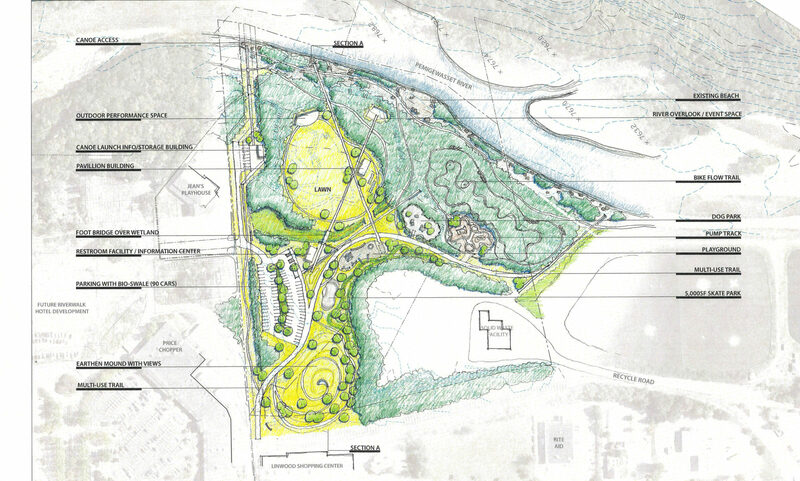 The document grants the park to be constructed on a one-acre land parcel of town-owned land behind Lin-Wood Plaza. The Town of Lincoln will maintain ownership of the land. In the last 18 months, over 25 local businesses have donated and/or pledged their support to the project. Creating this free public recreational venue will undoubtedly create more foot traffic from both park users and their families & friends. Skate parks are prevalent in many urban areas where the current visitor base reside. Completing a park before neighboring communities such as Bethlehem and Plymouth complete theirs will benefit the area. Adding a new recreation venue will enable increased oerings for many local business. Retail shops can expand to skateboards, clothing, pads, etc. ; while the Recreation Department can add skateboarding to their existing camp activities or create an exclusive skateboard camp.